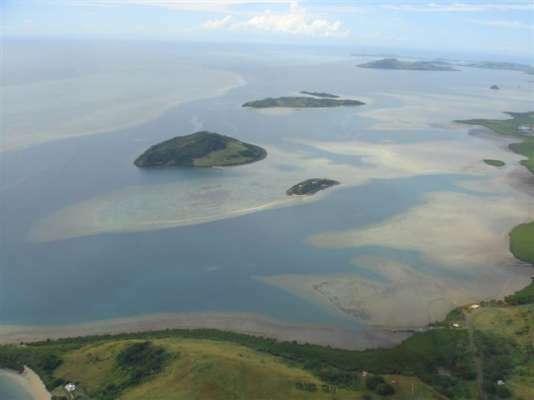 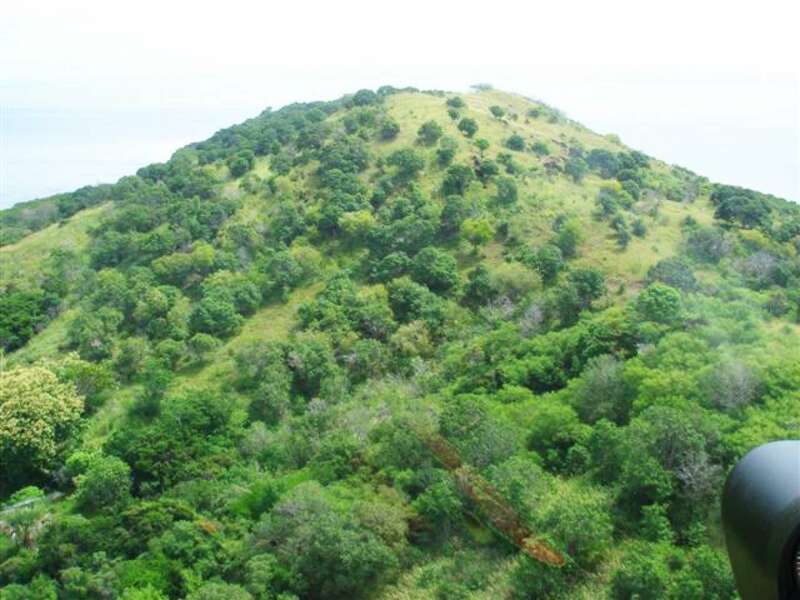 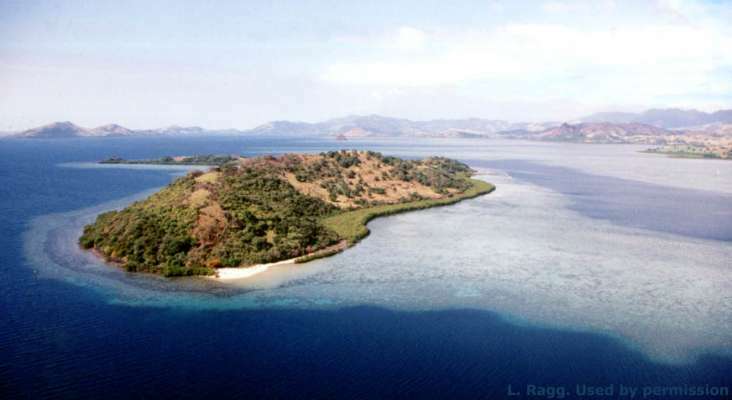 Tovu Island is a spectacular beauty with 180 acres of sculpted hillsides and tropical rainforest. 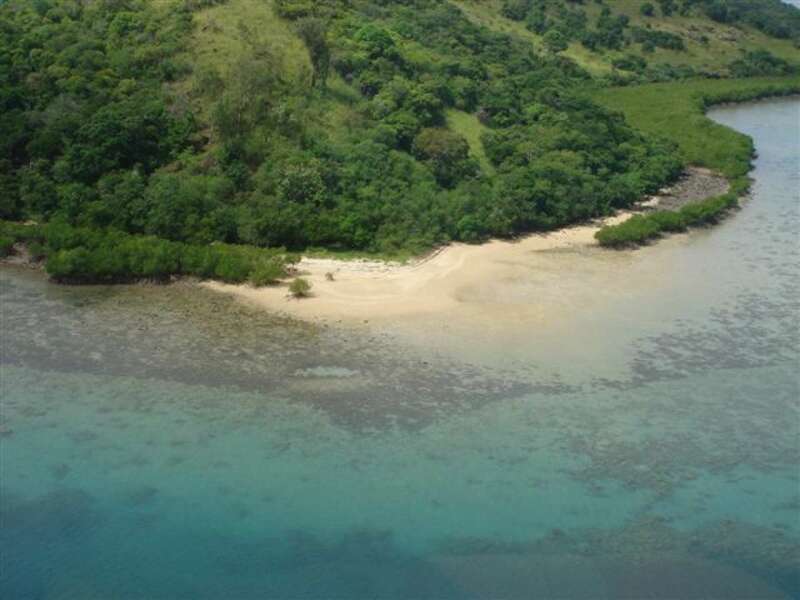 This coral atoll floats just inside the coral reefs surrounded by white, sandy beaches that dip down into a lagoon of opalescent blues and greens. 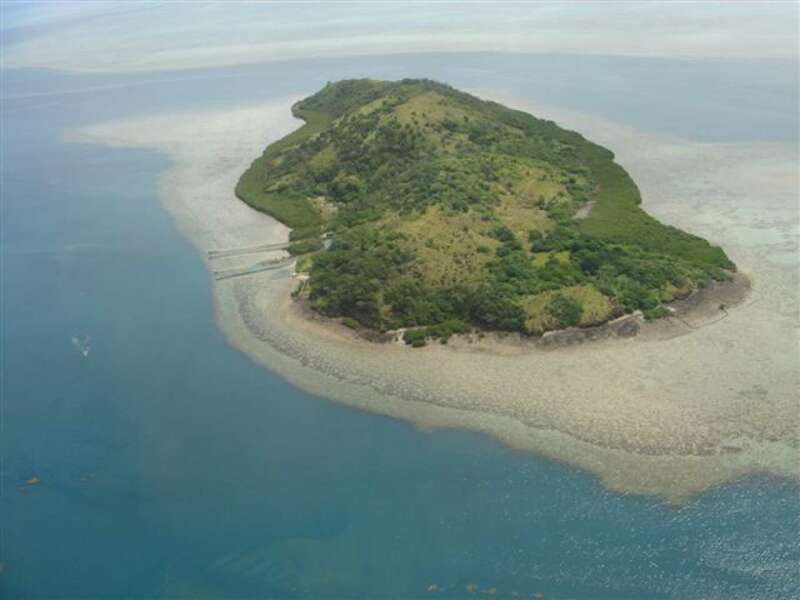 Formerly owned by a British doctor with a botanical bent who left the island a tropical garden, Tovu Island features more than 50 species of exotic flora. 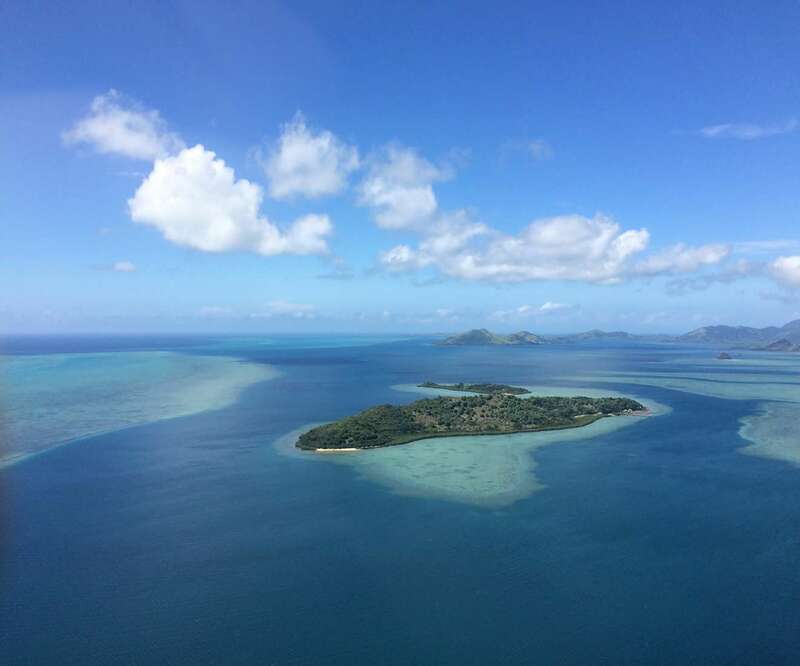 The Island abounds with mahogany, cheramoya, Java plum, Vaivaitree (monkeypod), African tulip and many species of frangipani (plumeria). This stunning island is located just across the channel from the main island of Fiji (Viti Levu), with its hauntingly romantic, twin peaked profile. 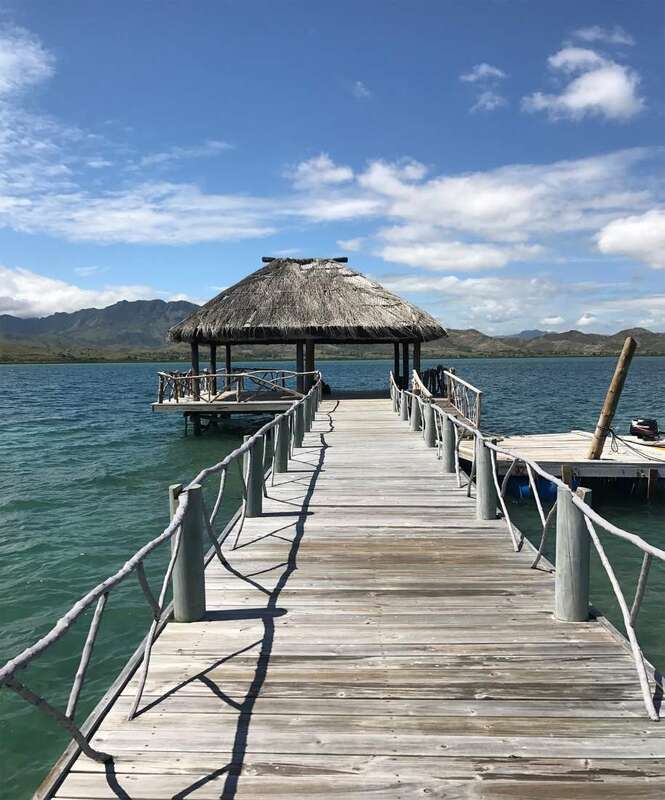 There is nothing on the island but a resort which accommodates 6 people and is rented to only one party at a time so guests enjoy the ultimate in privacy for family gatherings, reunions of friends, milestone birthdays, anniversaries, celebrations, or weddings. 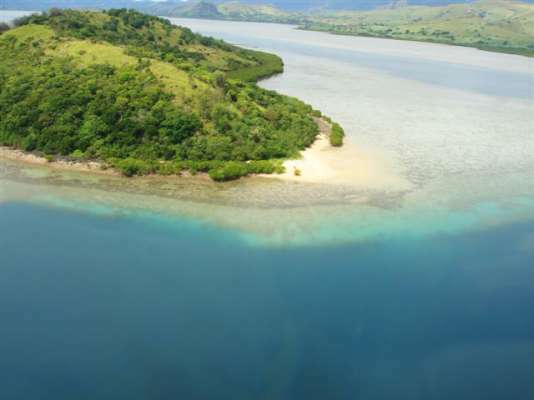 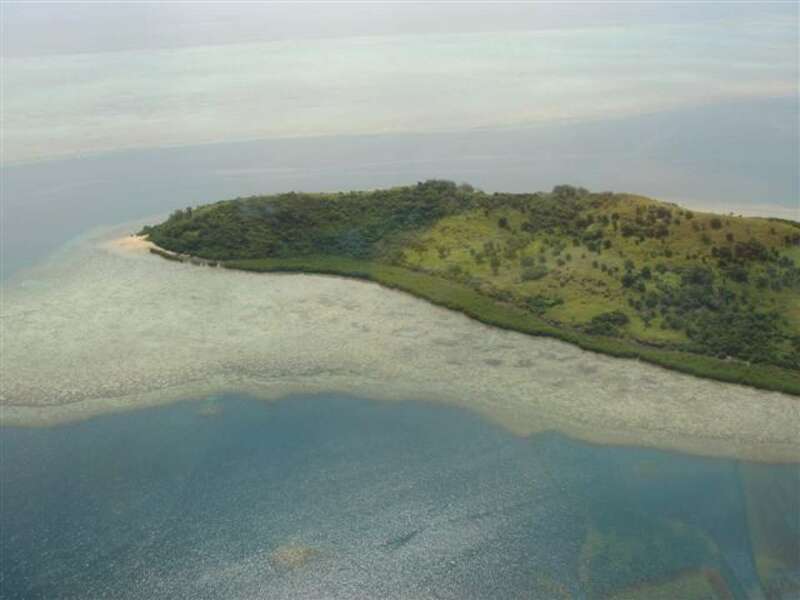 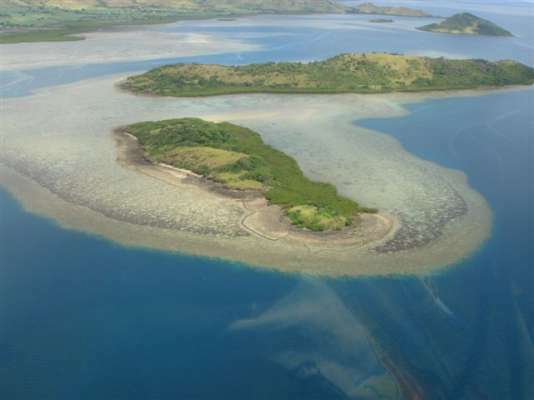 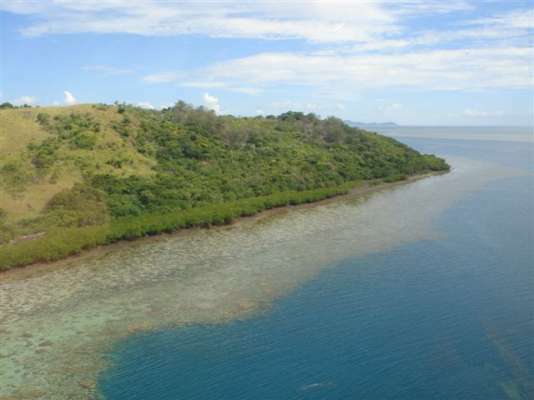 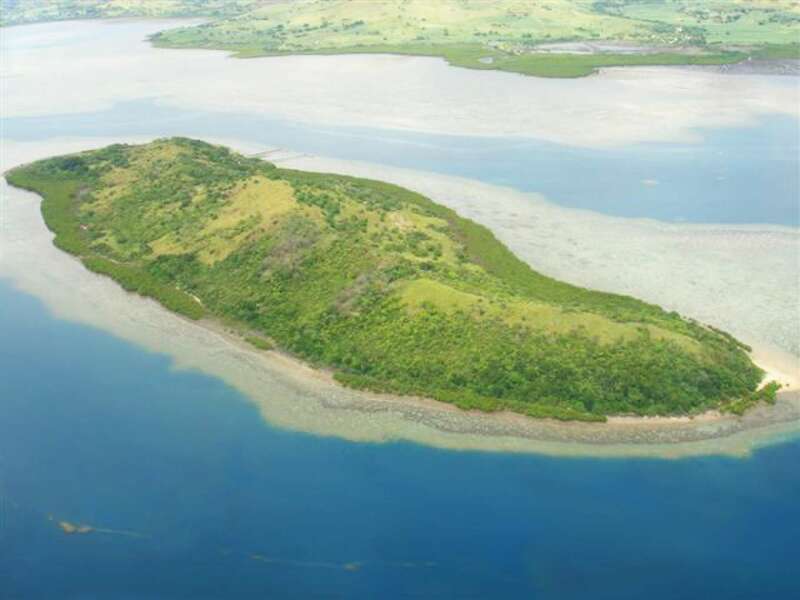 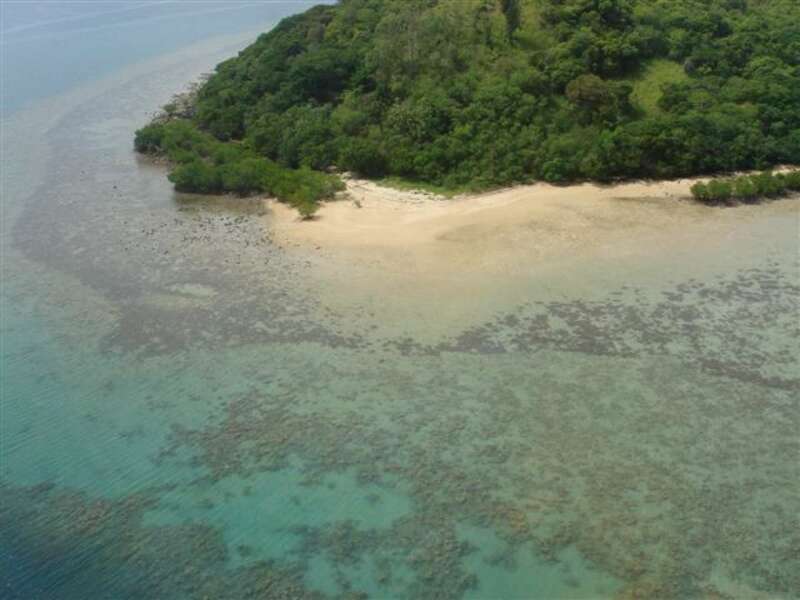 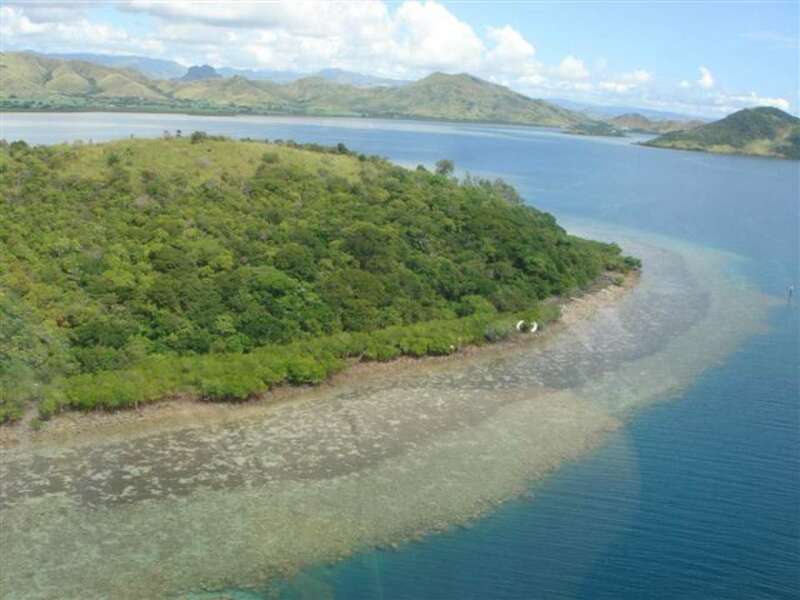 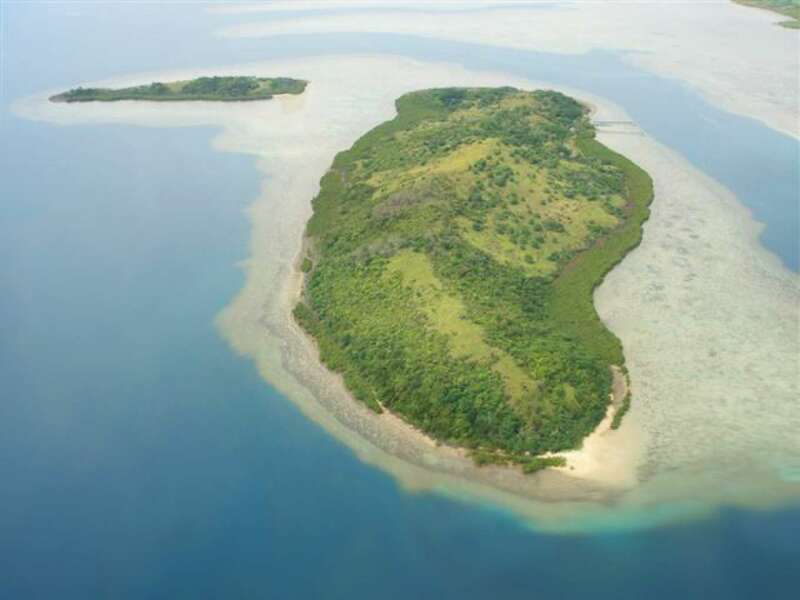 This lush 180-acre island sits off the northern coast of Viti Levu. 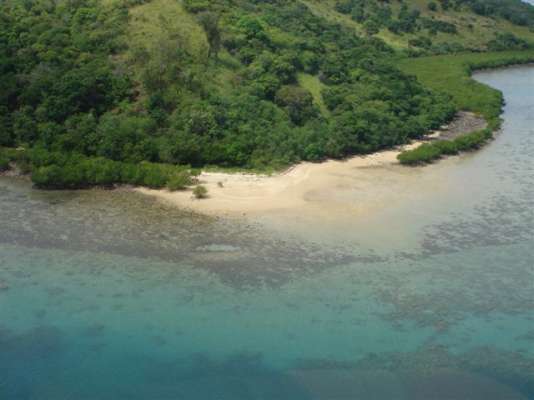 It is one mile long and over a quarter mile wide and sits like an emerald amoeba off the north shore. 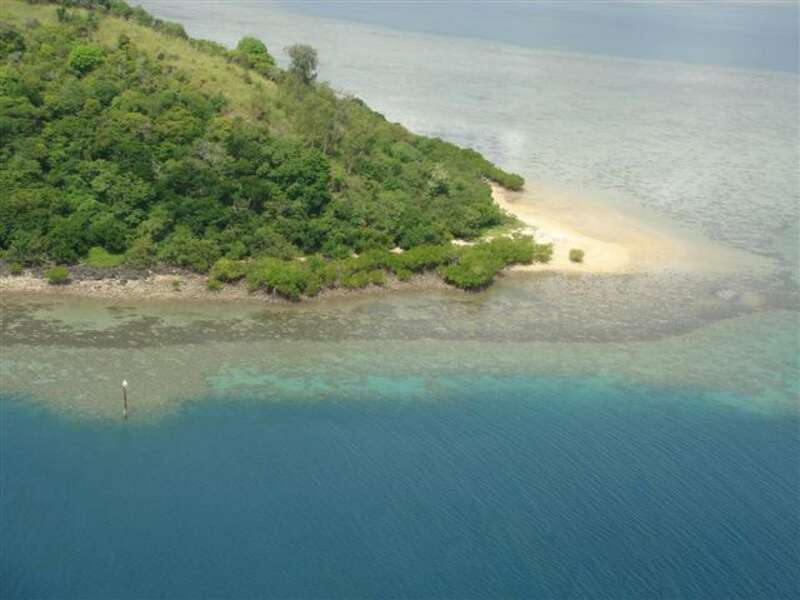 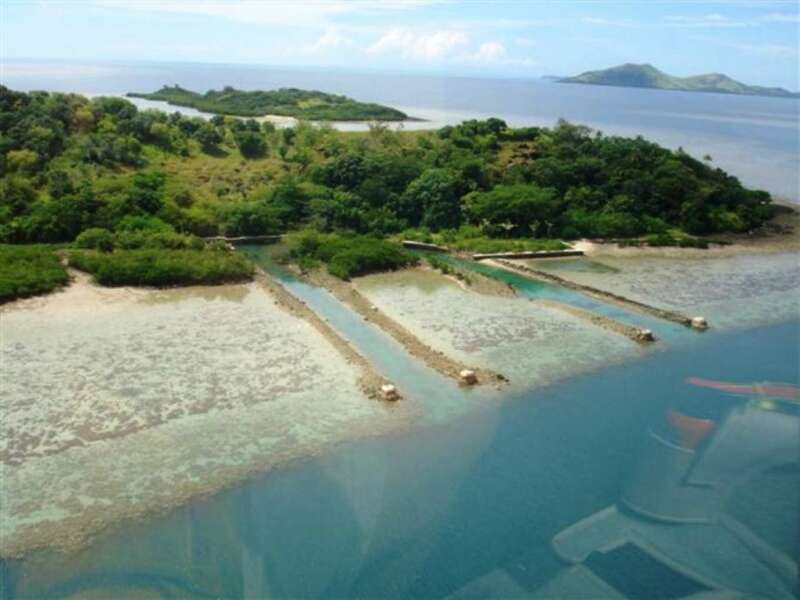 It is accessible by private launch, sea-plane and helicopter. Surrounded by clear blue protected waters up to 20 meters deep, the island is volcanic in origin and sits on a coral reef with an abundance of sea life. Its central ridge rises to 330 feet and slopes to the north and south. The east and west have ideal beachfronts.